Mum’s Pakoda Kadhi was just mouth-watering! Try it out if you cannot resist! Add the pakodas and serve hot with rice. This entry was posted in Kadhi, Vegetarian and tagged pakoda, pakoda kadhi, snacks, veg, vegetarian. Bookmark the permalink. Thank You Smita 🙂 Didi made it and sent the picture. 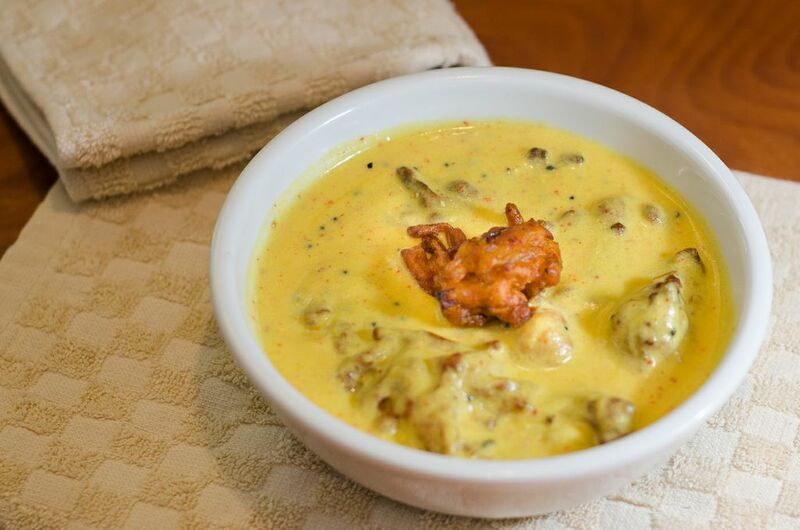 I absolutely love this kadhi but have never made it…. I will now after reading your recipe. Thank you!